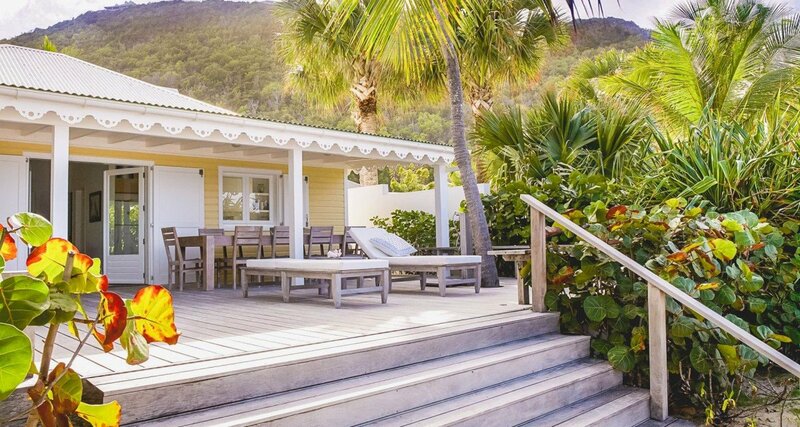 Villa Beach House (FAY) St Barts. 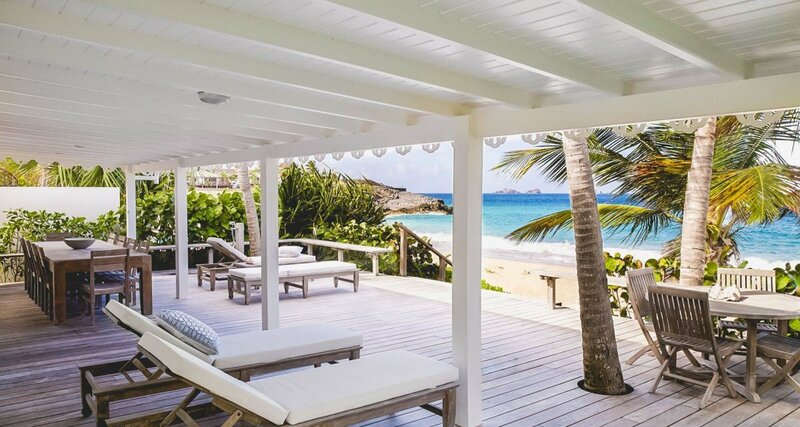 Set directly on the sands of Flamands Beach in St. Barts, the Villa Beach House easily lives up to its name. 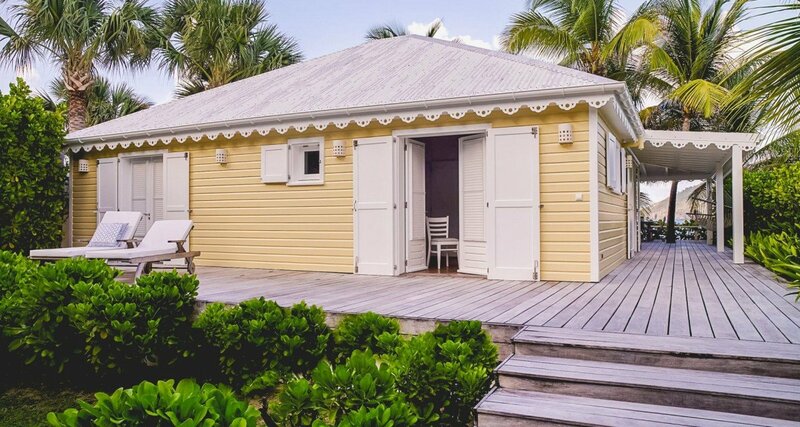 It is a two-bedroom property that is simple, utterly charming and nearly impossible to resist. It offers a large front porch that features an open sun deck as well as a covered terrace area. 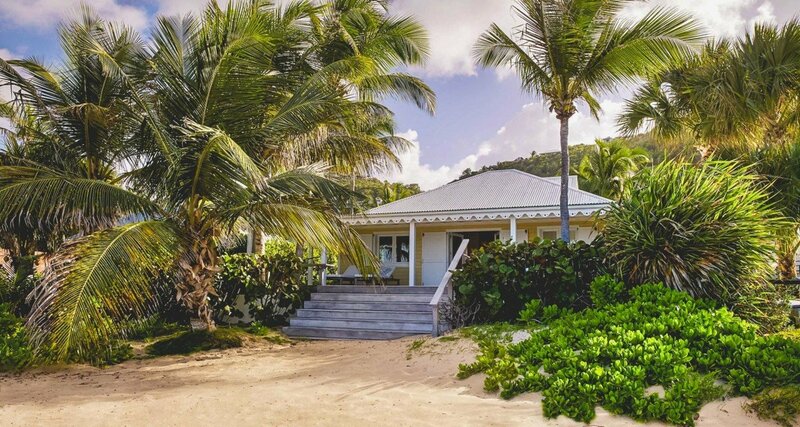 Because it is tucked into a grove of mature palms and surrounded by truly lush native growth, it is amazingly private for a beachfront cottage. 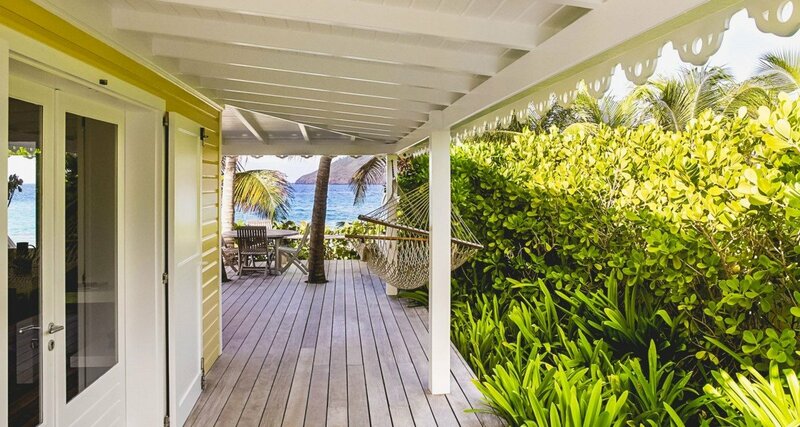 The porch wraps the property and tucked into one corner and concealed by the growth is your own island hammock. 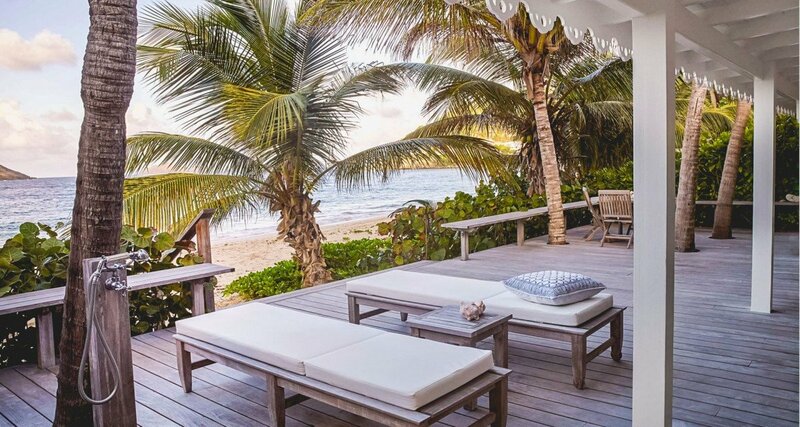 The front porch offers an al fresco dining table, several lounging spots, and a sunny table to savor your morning coffee or evening cocktails. 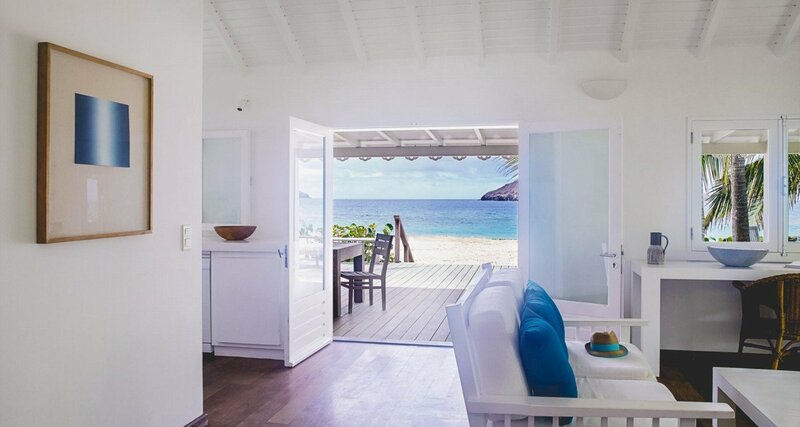 Step in through the classically shuttered doors and you are in the great room. 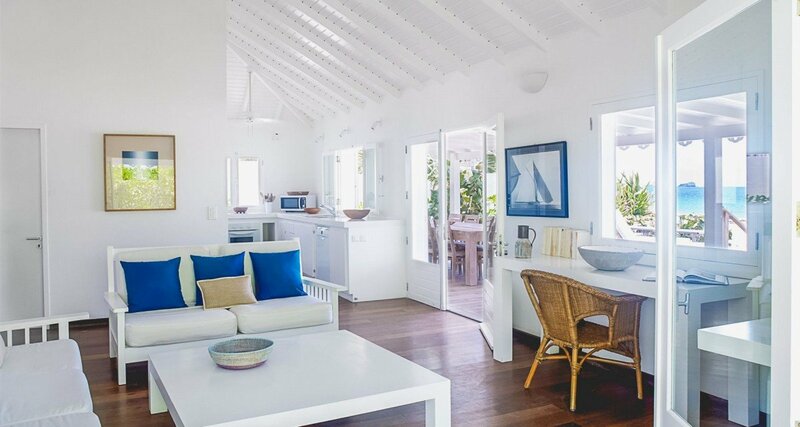 With its high ceilings painted in an appealingly airy white, and the floors in a richer mahogany brown, the space has an immediate sense of balance. 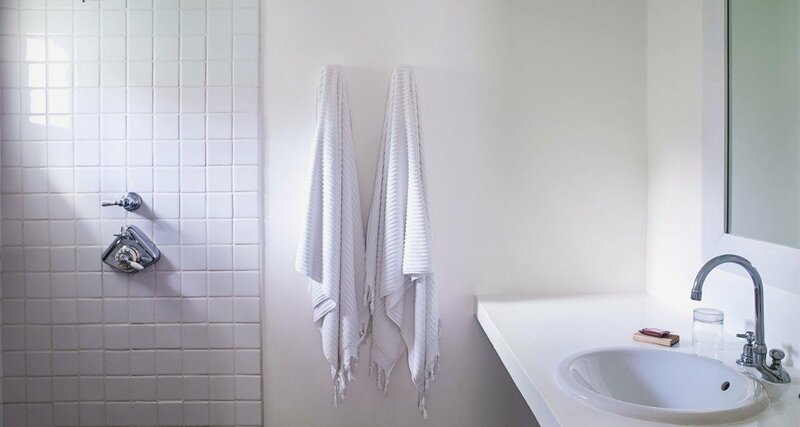 This is maintained with excellent and simple décor. A large living room is done in white and offers sofas and a simple entertainment space. Nearby is the kitchen which gazes out to the porch and features an array of modern appliances ideal for even complex meal preparation. 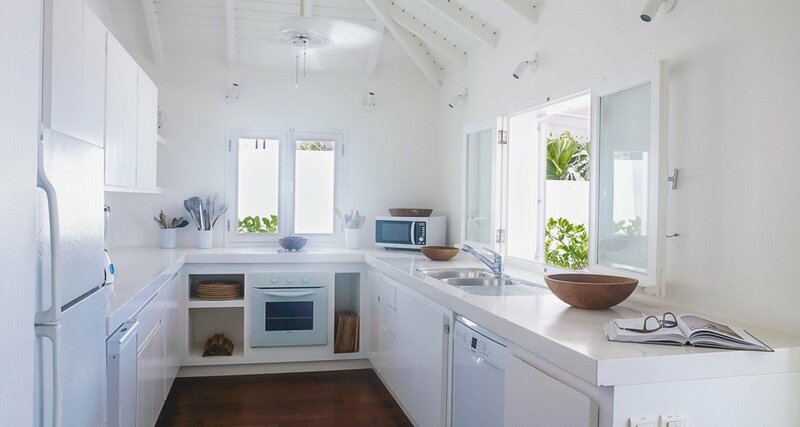 It is in the galley style and is a perfect spot for a few people to gather to work or socialize. 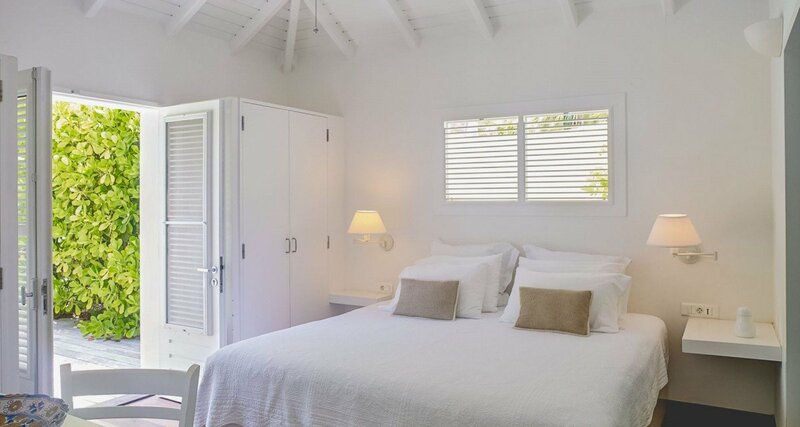 The bedrooms are in the same soothing white palette and feature luxurious ensuite baths. 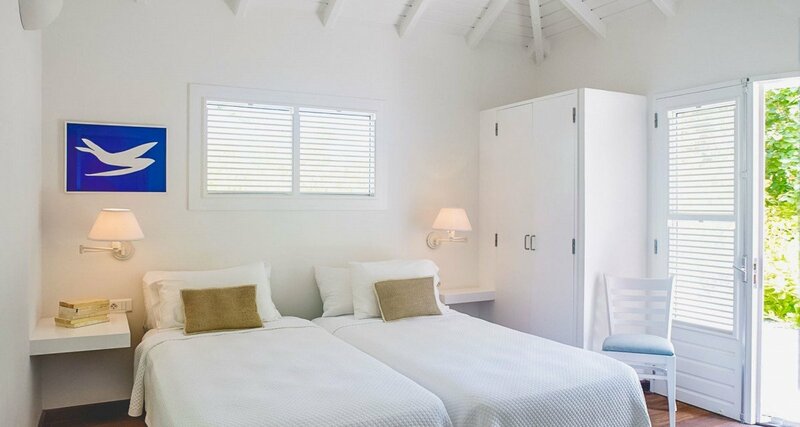 One of the bedrooms is a spacious king suite and the other has two twins that can convert to a king. Both have great views of the gardens. 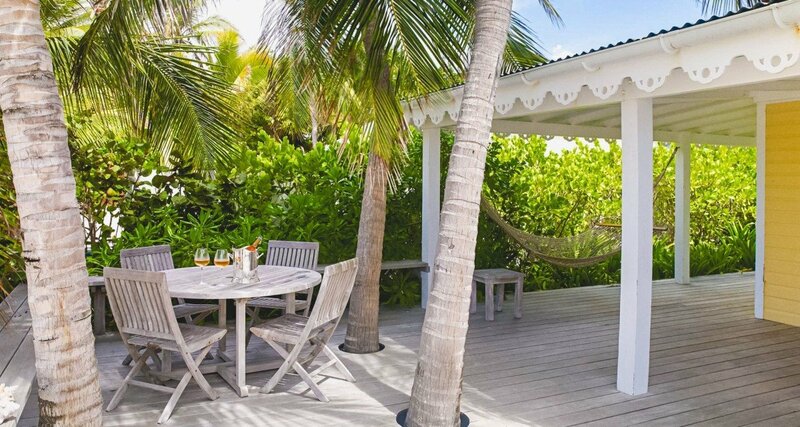 If you want a romantic retreat, a spot for a family holiday or even a place for yourself to relax and refresh, it will be tough to beat Villa Beach House. Bedroom 1: Bedroom with a king-size bed, A/C, ceiling fan, safe, garden view, hair dryer and en-suite bathroom with shower, vanity and WC. 2 guests maximum. Bedroom 2: Bedroom with a king-size bed, A/C, ceiling fan, safe, garden view, hair dryer and en-suite bathroom with shower, vanity and WC. 2 guests maximum.